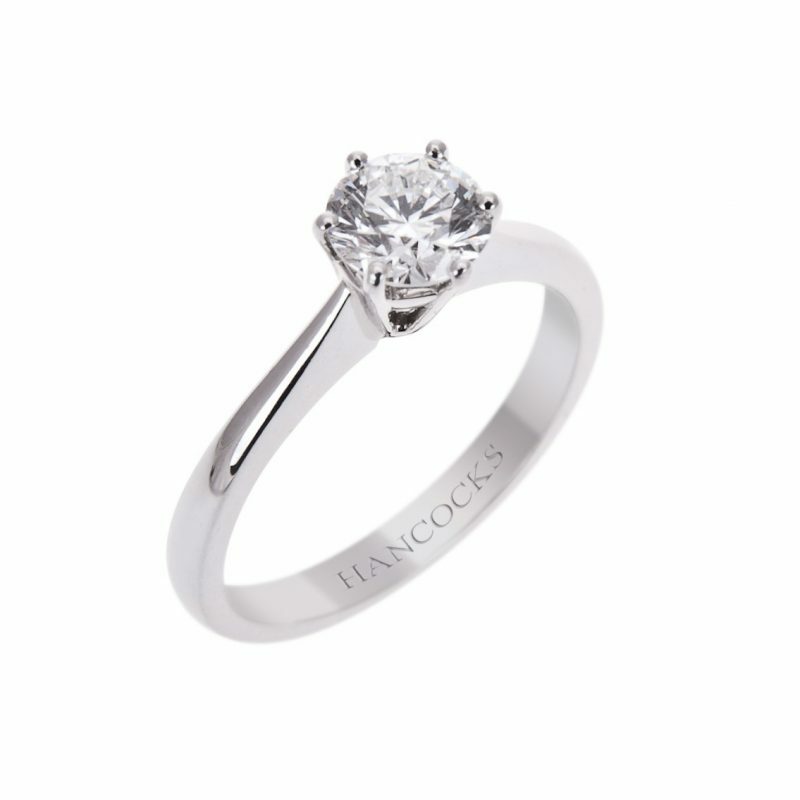 Platinum brilliant cut diamond single stone ring mounted in a classic 4-claw compass setting. 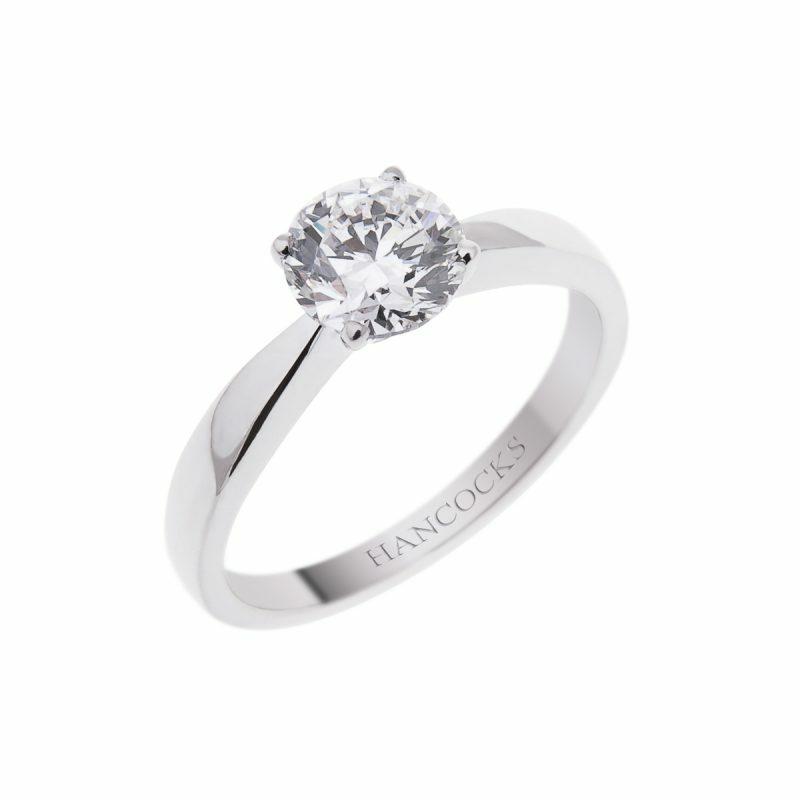 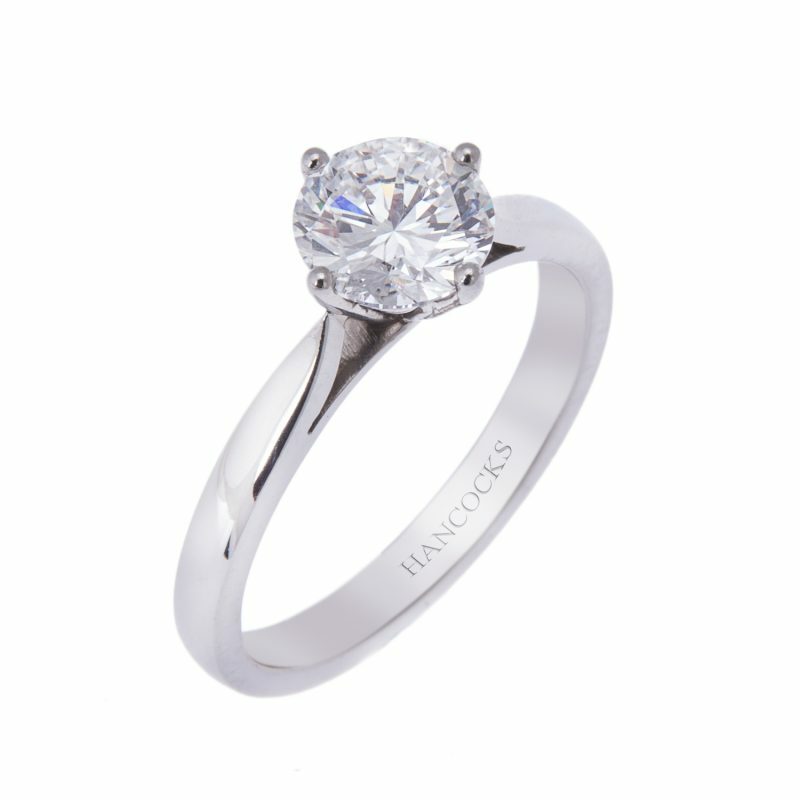 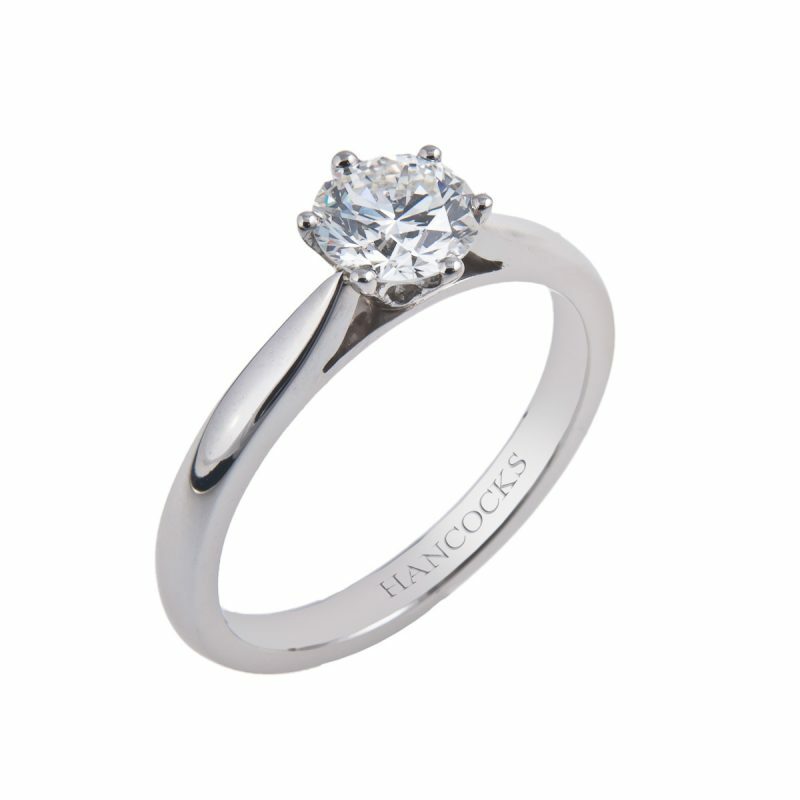 This versatile wedd-fit mount looks stunning next to any of Hancocks wedding rings. 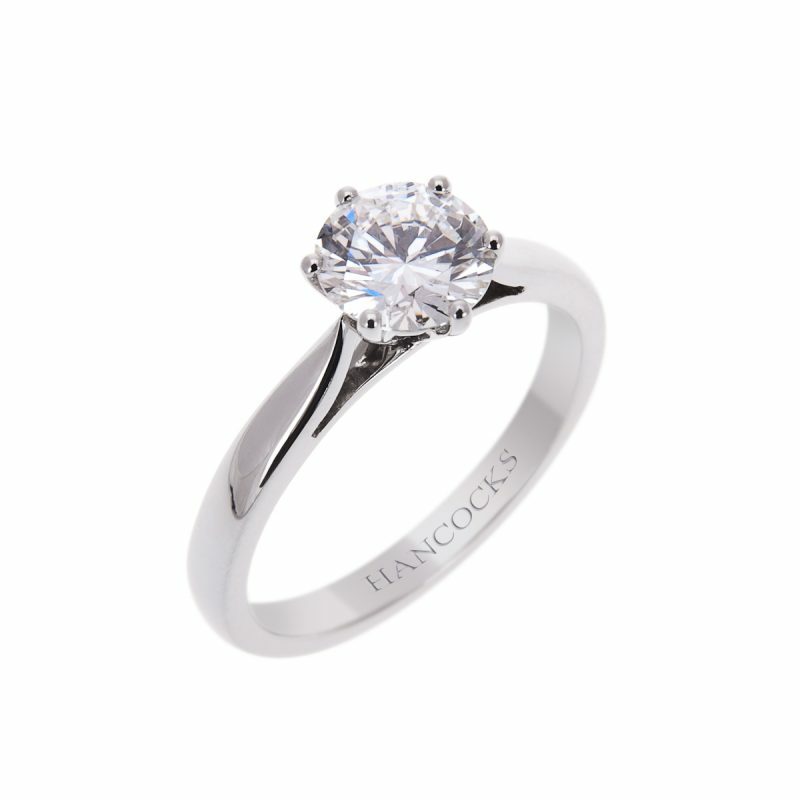 This dazzling ring truly is the perfect way to treat your loved one.